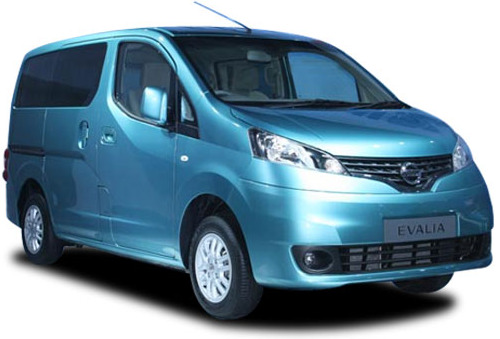 Currently used as a Taxi car in England, Tokyo and US as Nissan NV200, is set to make a blow for Innova in India. Let's see what it will do here when it hit in September 2012. The Nissan Evalia MPV comes with a 1.5-litre K9K turbo diesel engine provides a Max Power of 85BHp and Max Torque of 200Nm. The Nissan Evalia is a seven-seater front-wheel driven MPV which comes in four variants and has sliding doors in the middle. Safety features includes reverse camera, dual airbags, ABS, EBD and brake assist and electrically folding mirrors. Other features includes smart grille, rising headlamps, 14-inch wheels and mileage of 19.3kmpl. 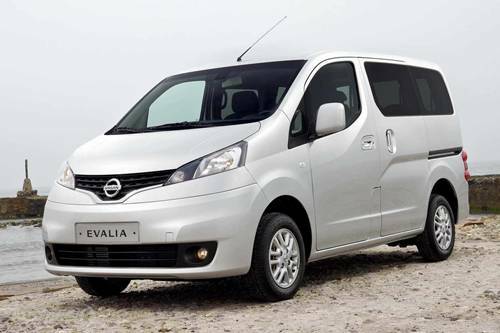 The 2013 Nissan Evalia MPV comes with a price tag of around 7 to 9 lakhs and will be availabie in september 2012. Tags:- 2013 Nissan Evalia MPV, Nissan Evalia details, Nissan Evalia features, Nissan Evalia specs, Nissan Evalia launch, Nissan Evalia mileage, Nissan Evalia india price, Nissan Evalia india details, Nissan Evalia india varients price, Nissan Evalia variants,Nissan Evalia pics, Nissan Evalia pictures, Nissan Evalia images, Nissan Evalia trim levels.